October 21, 2018 6:33 am. Cracksman has defended the Champion Stakes for trainer John Gosden and jockey Frankie Dettori. 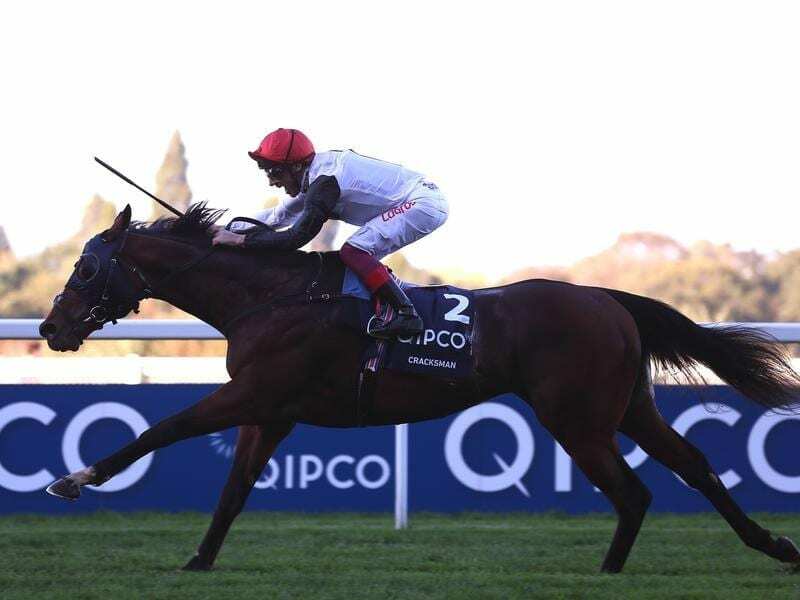 Cracksman has returned to his brilliant best to register back-to-back triumphs in the Champion Stakes at Ascot in what was almost certainly his final race. Wearing blinkers for the first time, the John Gosden-trained four-year-old blew the opposition away in the straight. Another Gosden runner, Maverick Wave, set the pace with Capri and Crystal Ocean on his heels. Frankie Dettori had to roust Cracksman early on to get into a decent position, but it was pretty smooth sailing after that. Capri hit the front briefly in the straight, but once Dettori unleashed Cracksman, the race was over. The 5-6 favourite quickly put daylight between himself and his rivals, as he romped home by six lengths. Crystal Ocean was second with Czech Republic representative Subway Dancer running an impressive race for third, another three-quarters of a length away. “It is super to have him back,” trainer John Gosden said. “Obviously he got very distracted at Royal Ascot by the girls (fillies) coming back in from the Duke of Cambridge. “We waited for the King George and the ground was too firm. We looked at the Juddmonte International, we freshened him up didn’t go to Longchamp (for the Arc) and came here, where he was back to his best. “I’m a great believer in putting a semi-blinker on as I’ve had a lot of luck with it down the years and it’s a little trick I learned in America. “He is a hugely talented horse and he showed it again today and I’m sure he will be off to stud now. Cracksman was rated Europe’s best horse last year and third in the world rankings behind Arrogate and Winx.